I hope everyone had a great weekend!!! We’ve got one more week of summer left before we hit the ground running and kickoff the Fall Fundraiser season and to be honest I’m ready. To celebrate the end of our summer the husband surprised me with a fun little weekend trip out to East Texas this past Saturday. 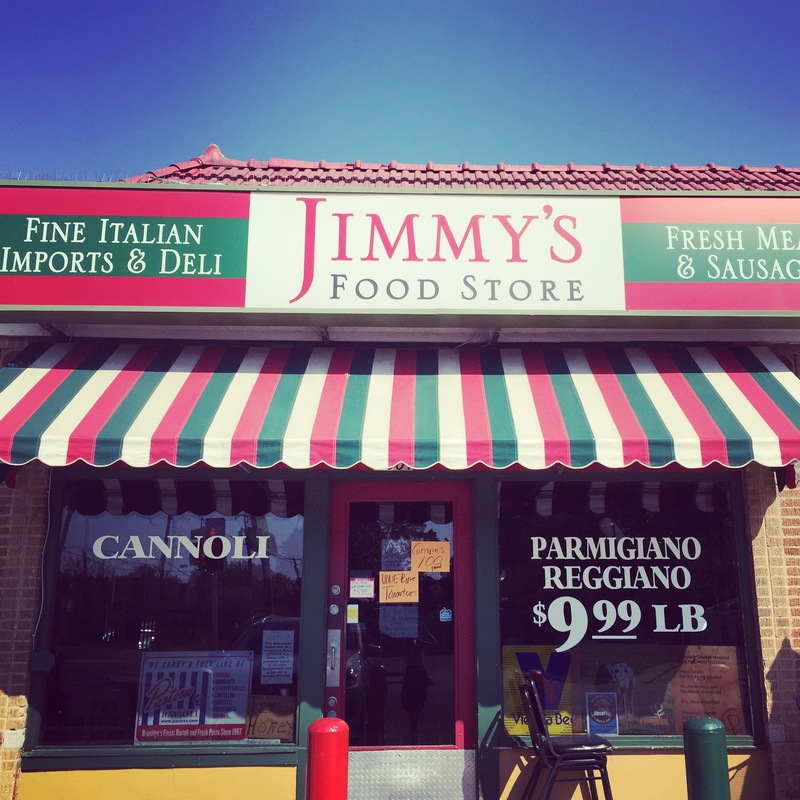 We started off our day with a trip to Dallas to stop a Jimmy’s Italian grocery store to stock up on some of their House Made Hot Italian Sausage, Pasta, Italian Coffee Beans, and of course indulge one of their famous sandwiches. Mmmm it was good! 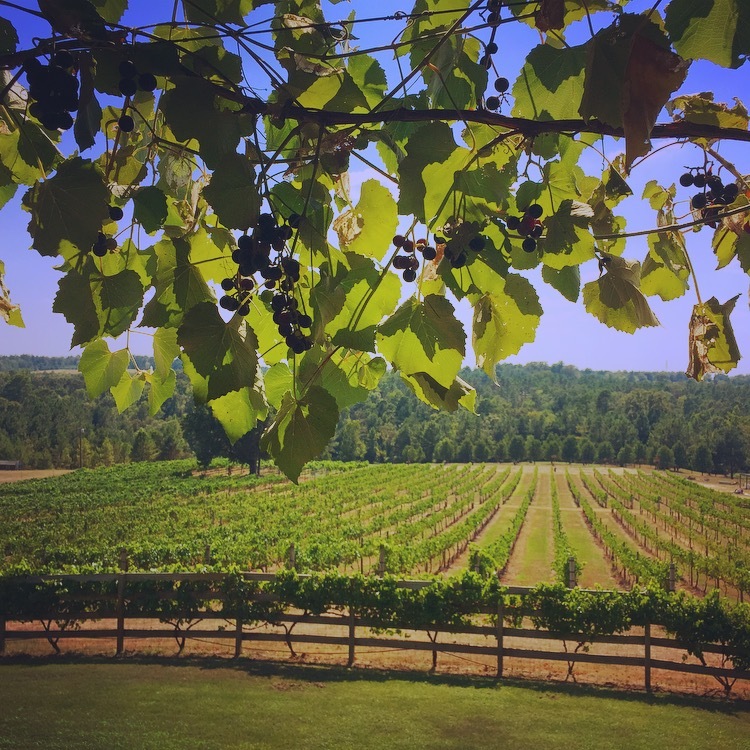 Then we headed out East towards Longview, Texas for an afternoon wine tasting, relaxing, and dinner at Enoch Stomp Winery. It was a wonderful day and a perfect way to end our summer. The first blueberry treat I made was some granola. This Blueberry Nut Crunch Granola is packed with almonds, pecans, flaxseed, cinnamon, honey, and dried blueberries and it’s perfect for those early mornings when running out the door. Also if you store the granola in small jars they are the perfect size to fit in the cup holder of your car. Be sure to tune in Friday because I’ll be posting a recipe for Cinnamon Swirl Blueberry Coffee Cake. Yum! Preheat the oven to 350 and line a baking sheet pan with parchment paper or a non-stick baking mat. Add half the almonds to the bowl of a food processor and chop up very, very fine. Roughly chop the remaining almonds and pecans. Then add all the chopped nuts, Oats, Flaxseed, Brown Sugar, Cinnamon, and Salt to a large bowl. In a smaller bowl add the Coconut oil and Honey and heat in the microwave for 15-20 seconds until the coconut oil had melted, stir to combine. Add the vanilla to the honey and coconut oil then pour into the bowl with the nuts, oats, and spices. Stir the mixture until everything is evenly coated then fold in the dried blueberries. 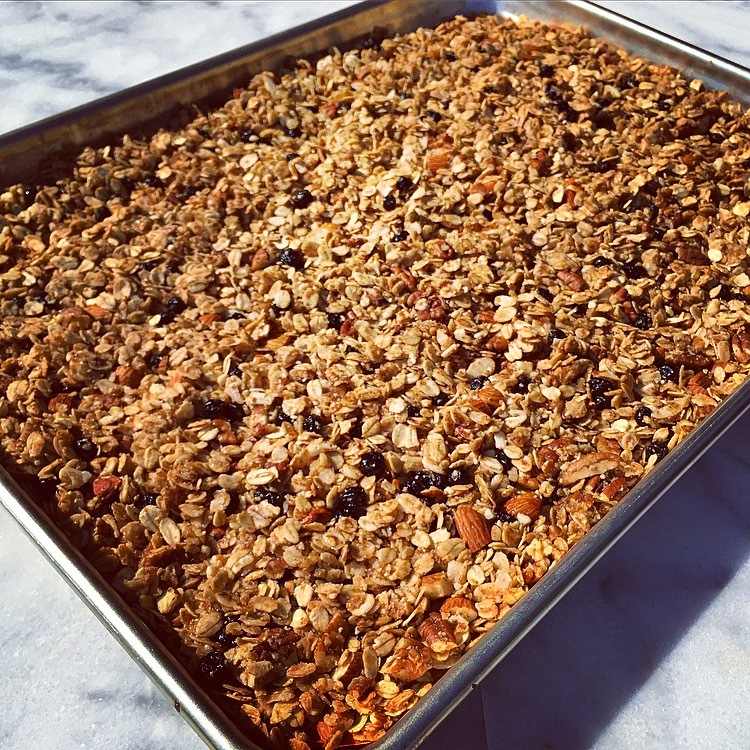 Spread the granola in an even layer onto to the lined sheet pan and bake for 10 minutes. Stir everything and spread back in an even layer then bake for another 15 minutes, until golden brown. Remove from the oven and allow to cool completely. 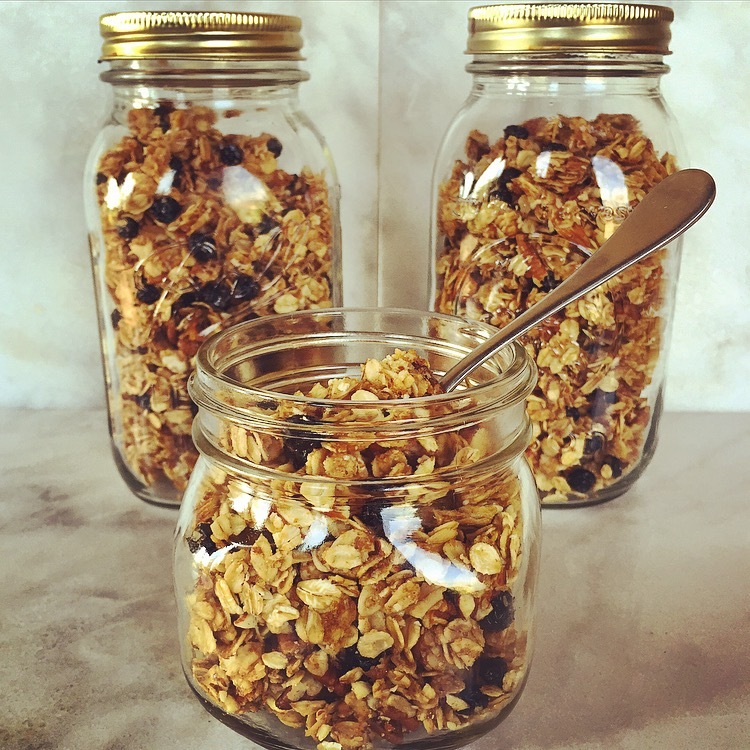 Break the granola into small pieces and store in air tight jars. 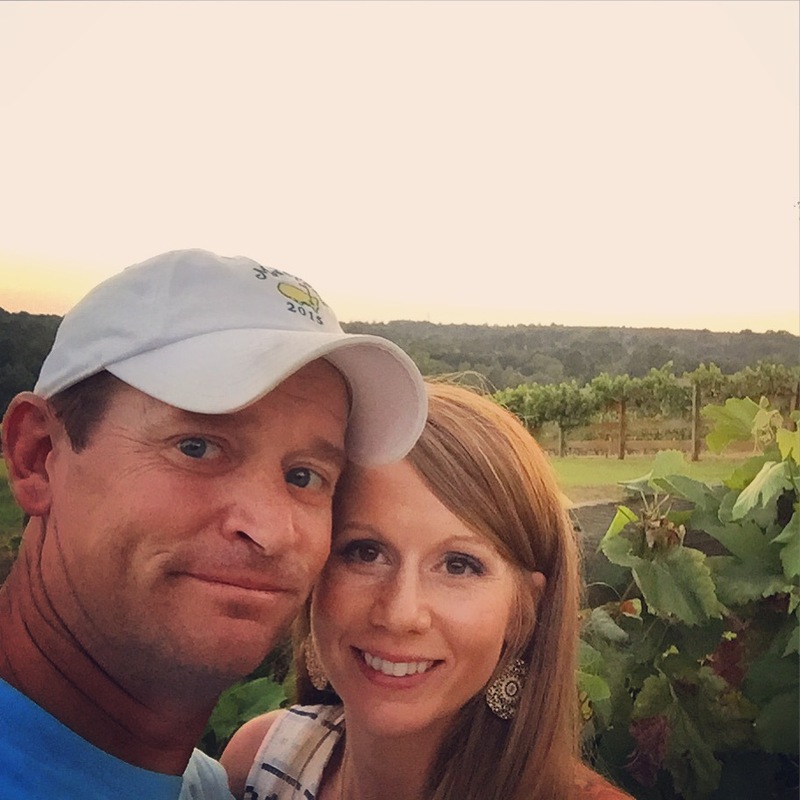 Hi Mel– we lived in Dallas for 4 years when we were very first married– loved the friendly people there– and did a few forays into east Texas– camping and antiquing… Thanks for bringing back the memories. and the granola looks great! I’ve made some granola–but never with blueberries!! Right now we have boxed store bought granola in the cupboard– so you’re making we want to try this yummy new version. thanks. We don’t make it to Dallas too often ( I live was of Ft.Worth) but when we do I have a list of places to hit up. I’ve just started making granola and I’m totally addicted to it and the dried blueberries add intense flavor… Plus all the cinnamon, almonds, and pecans it’s crunch heaven!! I’m with you on the granola!! thanks Mel. I wouldn’t have thought to add salt! I’m one of those people that likes food salty sweet 😀 and this granola is the perfect balance. I absolutely love this granola! Thanks!!! This granola is so addicting sweet, salty and crunchy 😀 I thing my next goal is to turn it into a cookie!! I always need cookie testers!!! Tried this recipe and poured almond milk over it for breakfast. YUMTOWN! Thanks Kori 🙂 I’m glad you enjoyed the granola!